Dr. Lai is a Board Certified Internal Medicine and Endcrinology & Metabolism physician with over 30 years of experience. He obtained his MD from UCLA School of Medicine before his internship and residency at St. Mary's Medical Center in Long Beach. Dr. Lai completed his fellowship in Endocrinology at the University of Irvine. 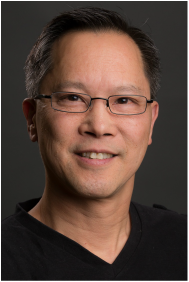 After working as an endocrinologist in Southern California, Dr. Lai moved to the Central Coast to start his own private practice in 1993. In addition to his practice, Dr. Lai is the Medical Director of Diabetes Services at Marian Regiona l Medical Center in Santa Maria and an Adjunct Faculty at Touro University College of Osteopathic Medicine. Dr. Knecht was diagnosed with Type 1 Diabetes at age 19. He is Board Certified in Internal Medicine and Endocrinology & Metabolism and has over 20 years of experience. He obtained his MD and PhD from University of California, San Diego (UCSD) School of Medicine and completed his internship and Residency at the University of Iowa. Dr. Knecht then completed his Endocrine Fellowship at UCSD School of Medicine. Jessica is a Physician Assistant and graduate of Stanford School of Medicine Primary Care Program. After graduating in 2011, she relocated to the Central Coast to work in gynecology and family practice. After having her daughter she specialized in Internal and Integrative Medicine, and now found her niche in Endorinology. ​Jessica's interests are diabetes, thyroid, geriatrics and women's health issues. Marya graduated from CSULB with a degree in Liberal Studies in 1980. After moving to the Central Coast in 1996, she changed careers and went to Cuesta College. Upon graduating as a registered nurse, she went to San Jose State to become a women's health nurse practitioner. While working in Santa Maria, she became interested in caring for patients with Diabetes. This led to more education, including a master's degree in nursing in 2006. Marya became a Certified Diabetes Educator in 2000 and Board Certified in Advanced Diabetes Management in 2015. Marya's passion for diabetes is shown in the way she takes care of her patients. Lisa is a registered dietitian, certified diabetic educator and integrative nutritionist with over 15 years in nutrition therapy and lifestyle counseling. Lisa's educational accomplishments include a Bachelor of Science from Cal State Fullerton, a diabetic internship through Cal State Long Beach, a Master's of Nutritional Science from Cal Poly, San Luis Obispo, and certification from the Institute of Integrative Nutrition and the American Academy of Diabetes Educators.